A shower rids the body of dirt, but a bath cleanses the soul. 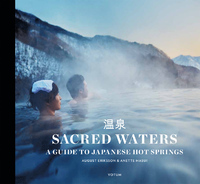 “SACRED WATERS – a guide to Japanese hot springs” is a book that describes in words and pictures Japan’s fascinating, millennia-old bathing culture and how it can enrich the life of everyone who samples it. 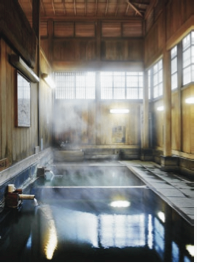 Inside you will find some never-before seen photographs of Japan’s hot springs, revelations about their alleged healing effects and commentaries on their reputation as fonts of youth. 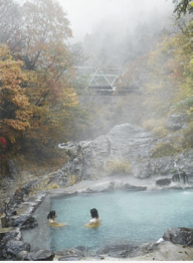 Factual sections and interviews tell of hot springs as meeting places where intimate friendships are made, and as cherished retreats for rest, meditation and reflection. The world of hot springs encompasses sand baths, steam baths, mud baths, steam-cooked food and baths that have been flavoured with beer, wine, tea or sake: in short, almost every aspect of the Japanese culture, which makes them such a great way to experience the people and natural beauty of Japan. 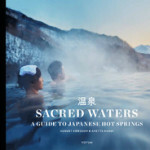 The book also includes a guide to Japan’s hottest and most secluded springs, and instructions on how to take a healing bath in the Japanese manner: immersed in a hot spring surrounded by blossoming cherry trees or at home, in your own bathtub. The book can be bought at selected book stores in Sweden and at www.amazon.com. You may also order it from us: info@nipponagency.com, price 200 SEK plus transportation fee. © 2019 Nippon Agency. All Rights Reserved.